invigorating activities on the beach and plenty of downtime to meditate or relax by the pool. 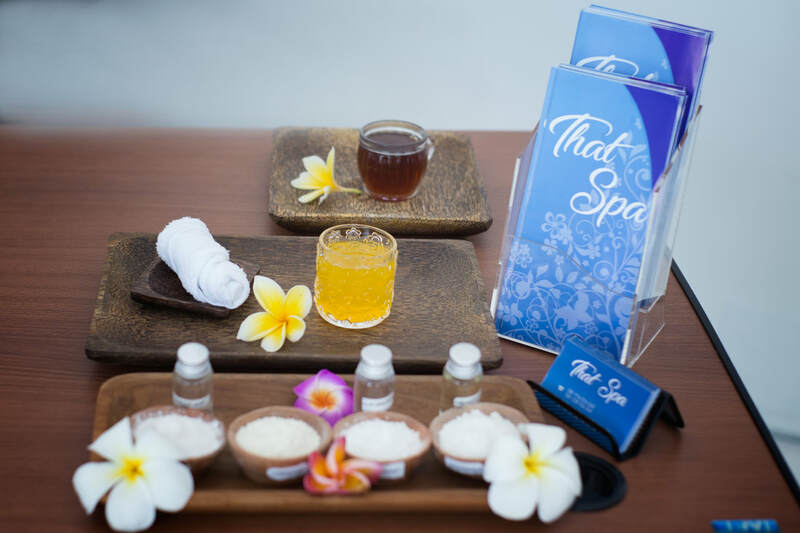 This is just a day in the life at Luxury Retreats Bali, which offers healing and healthful retreats located at the stunning Semara Luxury Villas at Uluwatu Beach. 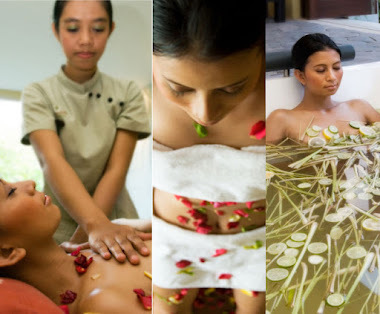 Luxury Retreats Bali offers 5 full days of bliss, during which you can reconnect with your body, mind and soul with inspiring yoga sessions and a healthy and fresh gourmet vegan menu. The team here consists of Morgan and Nadine, both of whom are avid outdoorsy types, yogis, surfers and so much more. Between them, they have a vast wealth of knowledge about nutrition, anatomy, yoga, Ayurveda, and the beautiful beach life, and they bring that knowledge to the retreats to inspire and educate each and every guest to make healthy lifestyle choices. Once you book your retreat, you’re pretty much taken care of from the moment you arrive in Bali, as they include return airport transfers, accommodation in a gorgeous 5-bedroom luxury Semara villa with an infinity pool and lush gardens, a daily gourmet raw organic menu, Ayurvedic detox, morning and evening yoga sessions, meditation, daily spa treatments, private butlers, an organic spa gift pack, and access to the gym, tennis courts, lap pool, and the famous Finn’s Beach Club. While you’re looking after your body, your mind and spirit will soar with the sheer beauty of the natural surroundings. Located on the tip of Bali’s southern peninsula, the Semara Luxury Villa Resort is made up of seven unique villas, all perched on the edge of a jungle-cloaked cliff jutting out over the Indian Ocean. Lush greenery abounds, and at almost every corner you turn there are incredible vistas of the vast glittering ocean. Each villa has five well-sized bedrooms that feature exquisite touches like outdoor stone bathtubs that sit under the stars, custom-made organic toiletries, and private terraces that overlook the ocean. Although your day at the retreat is fairly planned out, you can spend your free time soaking up the sun in a lounger next to the infinity pool, or head to Finn’s Beach Club for a day of sun, sea, sand and seriously laid-back vibes. 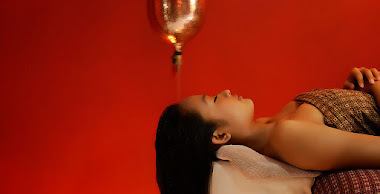 The Semara Spa treatments will make quick work of that stress and tension with heavenly massages and reflexology. These rejuvenating retreats are offered six times a year, and they fill up fast, so be sure to book well ahead of time to get your desired dates.